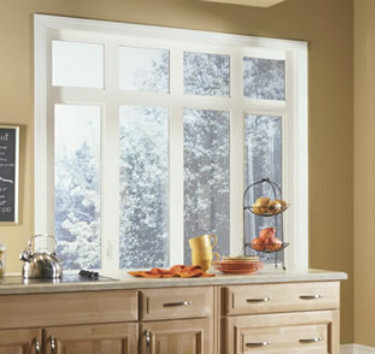 Casement and awning windows combine traditional elegance with modern technology that leave your home beautiful and updated. 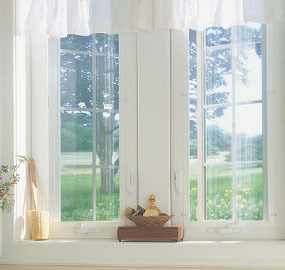 An easy-touch crank enhances the window's charming appeal. Both products are reliable and visually appealing. We guarantee smooth and reliable operation of the sash with casement windows gently open outward, while awning windows open up and out. Exterior sash provides an attractive finish while simultaneously creating the appearance of a larger window. During inclement weather, windows will remain tightly sealed due to the step-down frame and compression-type inner bulb. Multi-directional ventilation is available through a precision hinge system, which allows the sash to be cleaned from the inside.